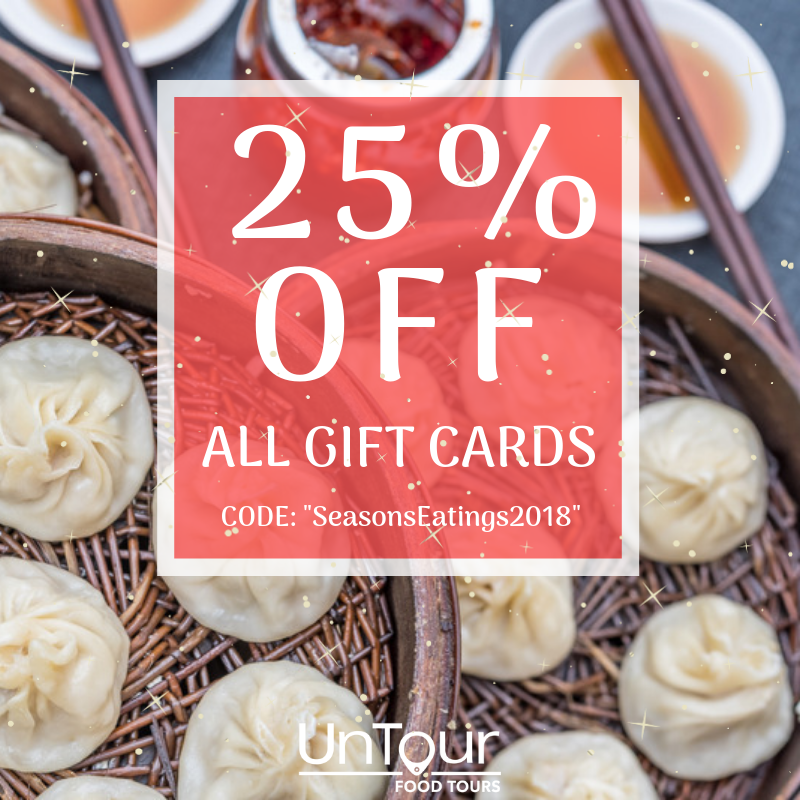 Just in Time for the Holidays – 25% Off UnTour Gift Certificates! SHANGHAI & BEIJING GIFT CARDS! The holiday season is upon us and if UnTour was a child, it would be just getting out of that picky eating phase (thank goodness!). As proud operators of an eight-year-old food tour and big fans of the holiday spirit, we’re offering 25% off our gift cards from Black Friday (Nov 23) to our official eight (8!) year anniversary (Dec 1). Click “Gift Certificates” in the upper right hand corner and put in any amount between Nov 23-Dec 1 (China Standard Time or GMT+8 y’all). Enter the code “SeasonsEatings2018” to get 25% off. Put in your credit card details and you’re done! Chi Fan For Charity – Get Seats at the UnTour Table!